In the spirit of plannning properly - it's time to start the discussion on Dunstad. Worsas and me has had some initial discussion on IRC, but nothing is set in stone. Personally I'd avoid overusing the Dun- prefix (Dunstiorr, Dunstad, Dunbarrow, Duntar, Dunkreath - in a game where Dunmer is a pretty important word), but I'd love to see more settlements with -stad. 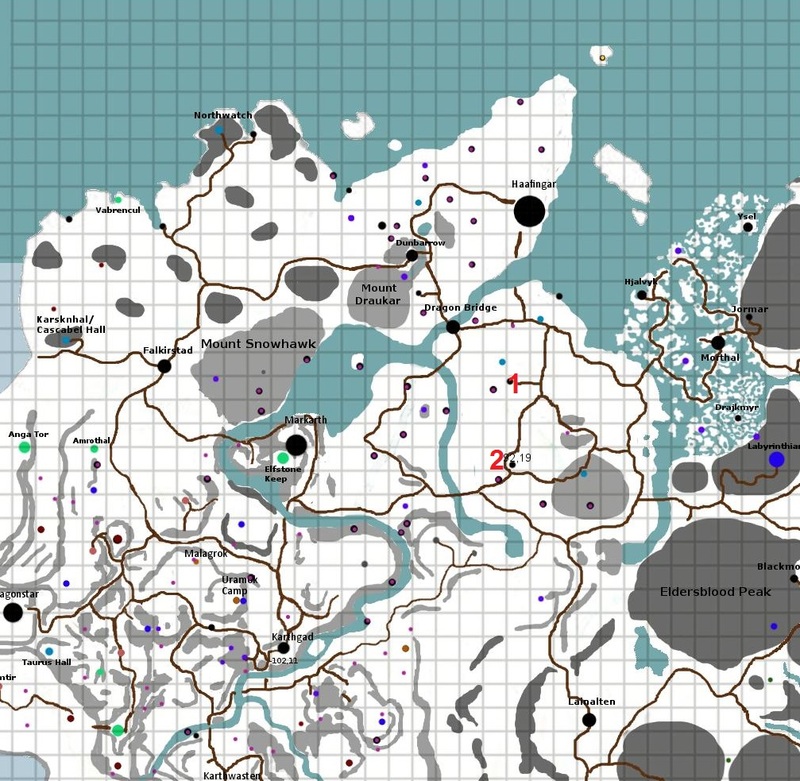 The settlement should be Nordic in nature, but it could be one of the fiefs previously owned by an Imperial noble. The name Dunstad Grove suggests a wooded location, and I think it will fit fine in the Solitude Forest. Architecture: Either Haafingar set or preferably a more rural style of Nord wooden houses. Dunstad first appeared in Arena as Dunstad Grove. In TES V it has suffered the fate of many villages, it has turned into a ruined fort. 1: Expanding upon or rebuilding the logger camp here. 2: On the edge of a forest clearing. Both locations are further west than the two location it has previously been located in, but I think it works well with our map and distribution of settlements. I found this design on Google, when I googled Dunstad Grove. I don't know who made it, or if it's possibly somewhere in the Exterior File. 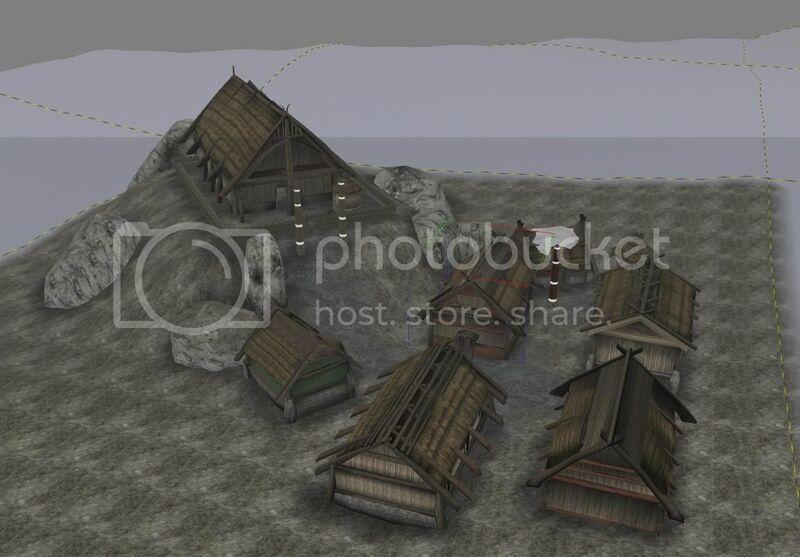 I rather like the design, though obviously the Skaal houses are to be replaced. I think we should go by choice 1 and turn the the logger camp into Dunstad, keeping it as a small site for the most part.